There were just too many faces on the street, staring out at me as I took my walk down Wythe Ave for this shoot. From part II of Faces, I’ve a culled two CELEBRITY faces plastered onto the same graffiti-lined wall. These shots seem to me to be a kind of comment on fashion – its outlandishness and association with the street. Here, these fashion icons are presented as gilded-garish fetishes, trapped in the frame of the camera (and the wall), posing-smiling passively as their images are desecrated-enhanced. 10 Jun	This entry was published on June 10, 2012 at 1:21 pm. 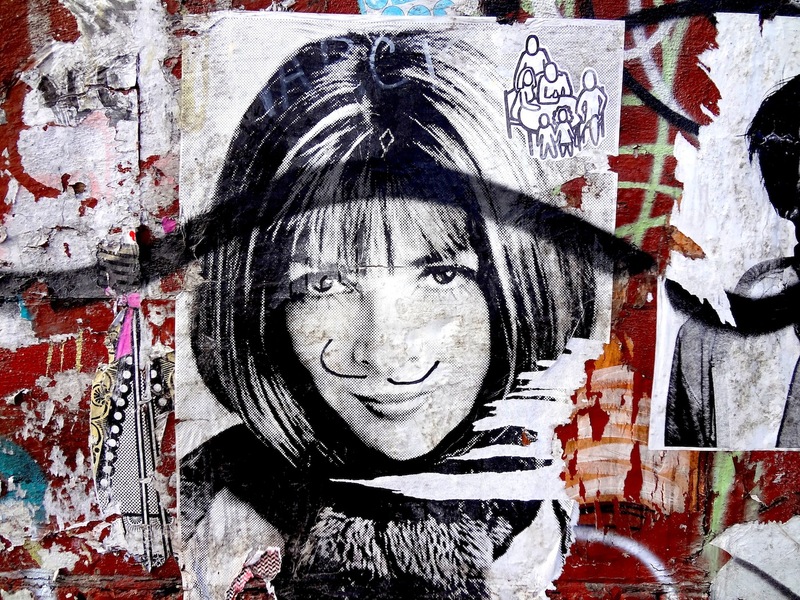 It’s filed under Art and tagged 100 Ways to See a Street, Anna Wintour, Celebrity Faces, Faces II, Kate Moss. Bookmark the permalink. Follow any comments here with the RSS feed for this post.